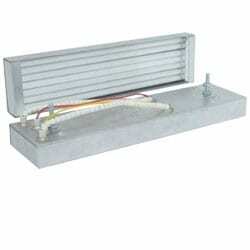 Metal is the standard face on the M-Series panel heaters. The face can be manufactured using either hard-coated aluminum or porcelanized steel. A metal face is used for industrial applications in which there is a possibility that materials will fall onto the heater’s face. Although a metal face heater is more durable than a glass face heater, A metal face heater absorbs all of the energy and re-radiates it to the process. 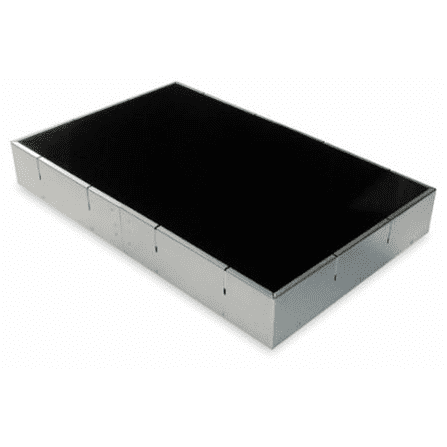 Especially demanding applications sometimes require a slightly different design that makes use of a hard-coated aluminum face constructed in a cap (pan) style. This design ensures that materials definitely can not penetrate the heater. The M-Series heater can be constructed as wide as 24″ (610 mm) and as long as 48″ (1219 mm), though not that width and length in the same heater. The F-Series heater has a tremendous amount of flexibility. Its shape can be manufactured rectangular (most common ), square, round, or C-shaped. The heat can be aimed in a single direction (most common) or in dual directions. Our special designs can help to avoid cold spots across wide web applications. 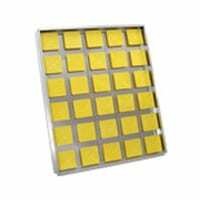 The maximum watt density of 25 watts/in2 (39 kW/m2) provides a sufficient amount of power for most applications. 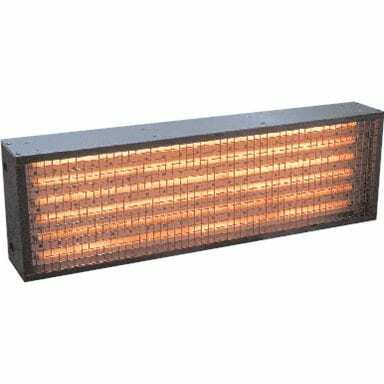 The use of an external reflector in most infrared heaters results in a dramatic loss of radiant efficiency over time. Because the proven design of the F-Series heater requires no external reflector, it maintains a consistently high radiant efficiency over time. Tempco Ceramic Fiber Insulated Heaters combine a heat source with superior high temperature insulation—an ideal solution for an unlimited number of industrial heating applications. Tempco Ceramic Fiber Insulated Heaters produce fast, efficient, and reliable uniform heat to temperatures of 1100°C (2012°F). Higher temperature ratings, up to 1200°C (2192°F), are available with a limited number of designs. These heaters are comprised of high-quality helically wound Fe-Cr-Al alloy resistance wire elements embedded in a rigid body of vacuum-formed high temperature refractory fiber. This ceramic fiber insulation has very low weight, thermal mass and thermal conductivity and thus can handle extremely rapid cycling. The elements are typically mounted flush with the heated surface. The diameter of the helically wound element coil is kept to a minimum, reducing the difference between the element and chamber temperature, thus ensuring long heater life. 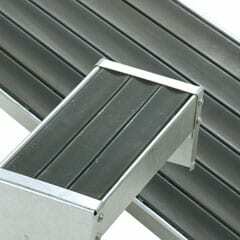 This feature enables the design and manufacture of responsive heating systems and significantly reduces the risk of overheating the element. 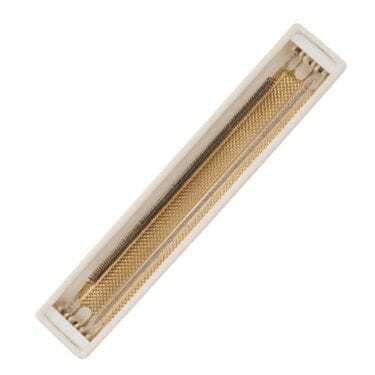 These Mini-Tube Quartz Heaters afe standard industry sizes and ratings up to 60 w/in2 and are interchangeable with CRC, CRB, CRN and CRZceramic heaters. 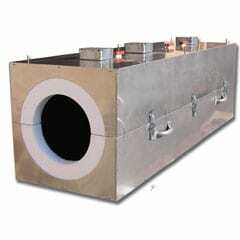 They are highly reflective, rugged, and have an aluminized steel housing construction. Rapid response — 2.5 to 7.5 deg F / sec. heat-up / cool-down rates, depending on unit watt density. The ferritic alloy (FeCrAl) resistance coil is uniformly stretched and placed inside a stress-free environment in either translucent or clear round quartz tubes. At the time of energization, the coil will expand without any physical constraint and last longer as opposed to the physical constraints imposed by the ceramic on the coils of standard ceramic infrared heaters. By employing quartz tubes with an infrared transmittance of up to 95%, the Joule heating generated at the coil finds a venue to exit the tube’s wall without substantial losses. The infrared energy coming out of the tubes in a 360º pattern must be then re-directed to the application and for that, a highly reflective gold surface (95% reflectivity) does the job. To further reduce heat losses to the back of the heater, an optional ceramic fiber with very low heat transfer conductivity is placed between the reflector and the back wall of the heater.